If you juice often, especially high-fiber produce like carrots, beets, or greens, you're left with a lot of pulp. A question we often hear is "Why throw away all that pulp? It seems like a waste." And it's true. At a minimum, fresh pulp can really enrich your compost. But it can actually be used as a fiber-rich addition to many things including muffins, cakes, soups, sauces, meats, oatmeal, and yogurt. 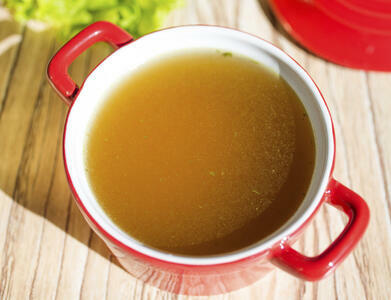 In this article, we'll look at using fresh pulp to make vegetable bouillon. 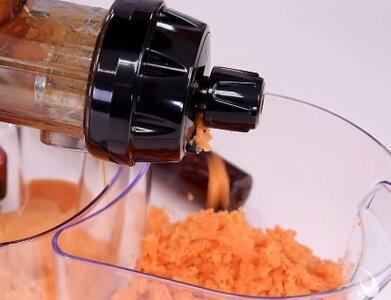 Heat the oil in a pot, then add the vegetable pulp and cook for two minutes at a medium heat. Stir continuously. Add the water and all the dried ingredients and bring to a boil. Once the mixture begins to boil, reduce the heat and simmer for 20-30 minutes. If you prefer a stronger flavor, simmer longer - up to 2 hours. You can use the bouillon as an ingredient in other recipes, or serve it directly as is or with some angelhair pasta mixed in for a tasty vegetable noodle soup.